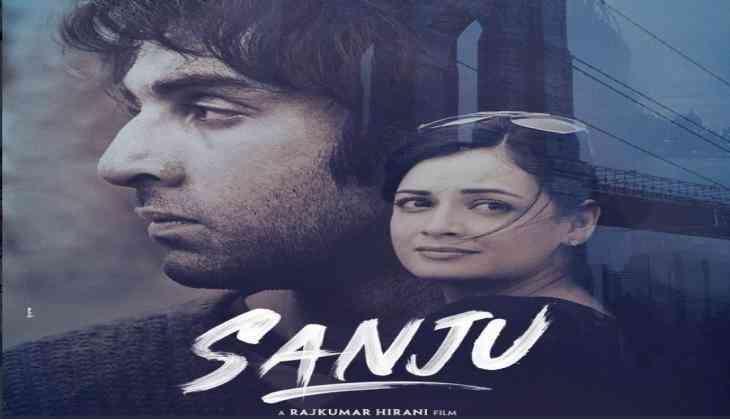 A complaint has been filed with the Central Board of Film Certification (CBFC) against the much-anticipated film 'Sanju'. In his complaint, filed by activist Prithvi Mhaske, he has raised an objection on the "toilet leakage scene in the barrack of jail picturised in the movie." Dated June 11 and addressed to Prasoon Joshi, Chairman (CBFC) and the makers of the film and Ranbir Kapoor, the letter stated, "In the trailer of the movie we have seen a scene that Sanjay Dutt was in such a barrack of a jail in which the toilet overflowed. As per the information available the government and jail authorities are taking a very well care of all the barracks of the jails. We never heard any such incidents anywhere. Earlier as well many movies were released based on the gangsters where in the jails were covered but never had seen such incidents. (sic)"
"This particular scene will make a bad impression about the jails and jails authorities of the Indians (sic)," it added. "If there is no action about the same by you then we are left with no option to approach honourable court to put stay on the release of the movie (sic)," it concluded. Meanwhile, in the trailer, Ranbir can be seen in a prison uniform inside his cell when suddenly the toilet starts overflowing and floods his cell.